Pat Knighten, Project WILD coordinator of the Arkansas Game and Fish Commission, awarded a $2,477.83 grant to Arkadelphia High School’s AP Environmental class to fund the development of a butterfly garden habitat on March 8. This year, the Arkansas Game and Fish Commission funded 18 Schoolyard Habitat Grants. The Schoolyard Habitat Program began in 1992. The grant opens each year on Sept. 1 and closes Dec. 1. The two primary focuses are the use of native species and student involvement. 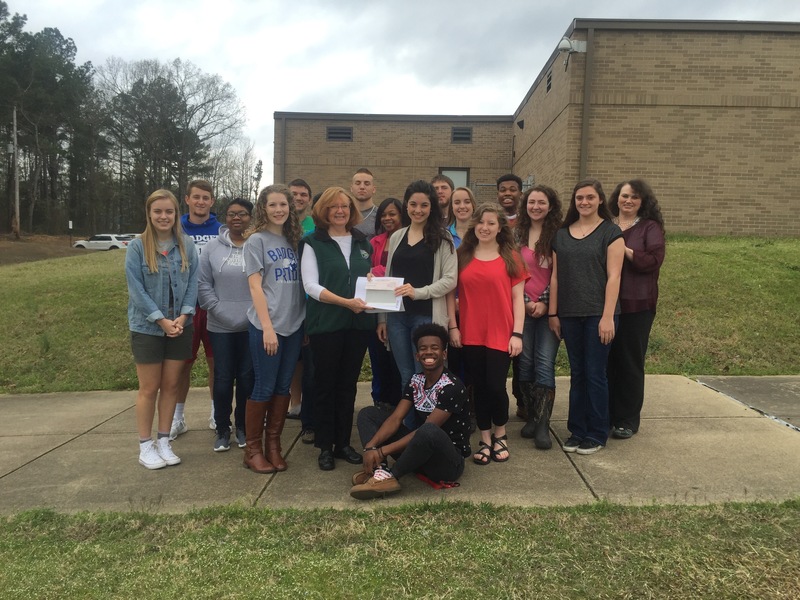 Becky Morgan, Arkadelphia High School’s AP Environmental instructor, submitted the grant proposal in October. The proposal included goals, objectives, a description of student and community involvement, a long-term care and maintenance plan, a budget form and the design of the habitat. Morgan’s AP Environmental class split into groups of three to begin the design process for the grant. Each group had the responsibility of designing a butterfly garden habitat with emphasis on butterflies that pass through Arkansas. AHS students Addy Goodman, Camille Tedder, and Madeline Wallace designed the winning butterfly habitat that was selected for the grant proposal. According to the grant proposal, the goals of the project are to provide a habitat for migrating butterflies to improve their survival rate, to provide an outdoor environment for students studying biology and AP Environmental Science, and to increase student knowledge of butterflies, migration routes and predator-prey relationships. The butterfly garden habitat will be located in front of Arkadelphia’s main high school building. AP Environmental students will begin construction upon receiving the grant and hope to have the project finished by May 2016.